IBM may have sold off its chip manufacturing business, but don’t count it out as a hardware force to be reckoned with. It still plans to fight on, developing faster computers and cognitive computing systems like Watson. IBM will pay $1.5 billion to GlobalFoundries to take over its chip-making factories, but will continue to design high-end chips and sell servers and supercomputers. Its hardware future now rests on the Power processor architecture, which over the years has been used by Apple in some Macs, Sony’s PlayStation 3 and IBM mainframes. The Power processor will continue to appear in supercomputers, though GlobalFoundries will make the actual chips. 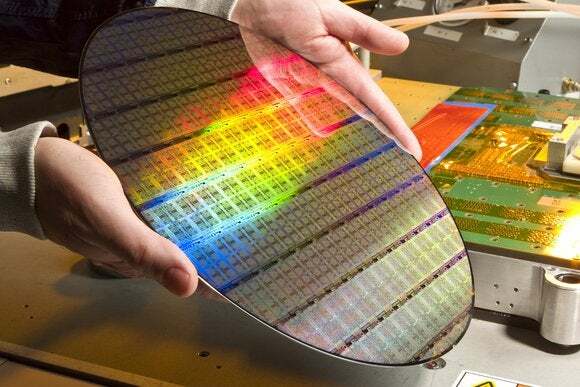 The transfer of chip-making factories to GlobalFoundries comes on the heels of IBM selling its x86 server chip business to Lenovo for $2.1 billion. Lenovo also bought IBM’s PC business for $1.75 billion in 2005. IBM had a hard-drive business that was sold to Hitachi for $2.05 billion in 2002. During IBM’s earnings call on Oct. 20, CEO Ginni Rometty spoke of a software-heavy future focused on cloud, mobile, analytics and other technologies. “We’ve got to reinvent ourselves, like in prior generations,” Rometty said. Nonetheless IBM is firmly committed to the hardware business, and wants to be the “smarts” behind making and building better systems, said Tom Rosamilia, senior vice president, IBM’s Systems and Technology Group, in an interview. IBM is now licensing the Power architecture to third parties that want to build servers, chip variants or components. It hopes that strategy, similar to ARM’s, will help it compete with Intel’s x86 chips, which dominate the data center. IBM has also formed the OpenPower Foundation—which boasts members like Google, Samsung and Nvidia—to promote hardware and software development around Power. Such cognitive computing systems rely heavily on IBM’s software assets, which help process natural language and parse through swathes of unstructured data such as that created by sensors and mobile devices. Right now Watson’s benefits are being seen in health care, but its usage could expand to manufacturing and retail as well, said Charles King, principal analyst at Pund-IT.